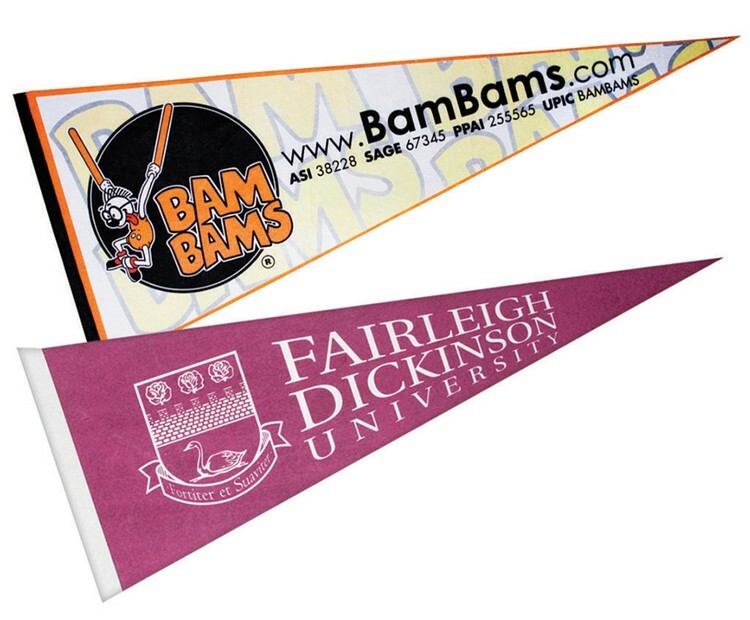 Printed felt pennants are a classic fan favorite. Commemorate a special business event, church rally, school spirit, school graduation or sports team with these quality printed 12" x 30" non-woven felt pennants. Can be personalized with your custom printed advertising name, logo, or school mascot. 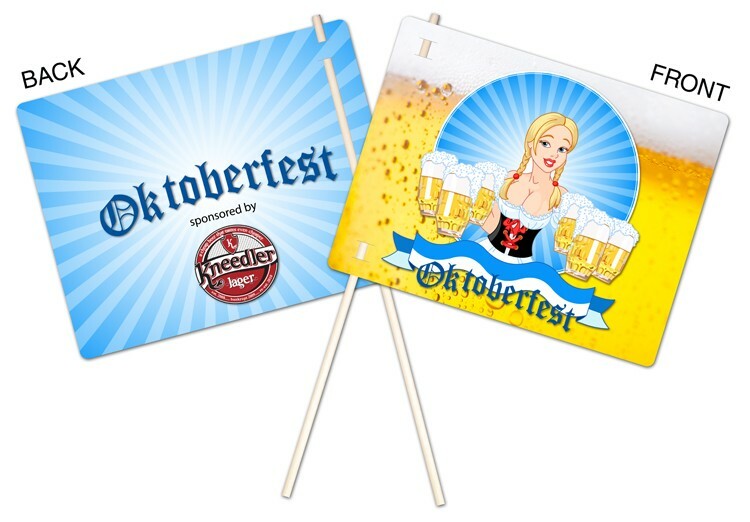 UV coated plastic flags are printed in full-color and are perfect for sporting events, fairs, festivals and any event that you can think of. Flags are shipped with dowel sticks that are easy to insert. Sticks are .25 inch thick and 18 inches long. Add some much needed style to your house or bedroom with the hard to miss Medium Wall Pennant. This eco-friendly promo item measures 23 1/2 inches x 9 inches and is made out of PET recycled felt material. The product also features cotton binding and tie strings. For your convenience the item comes in a wide variety of colors for you to choose from. 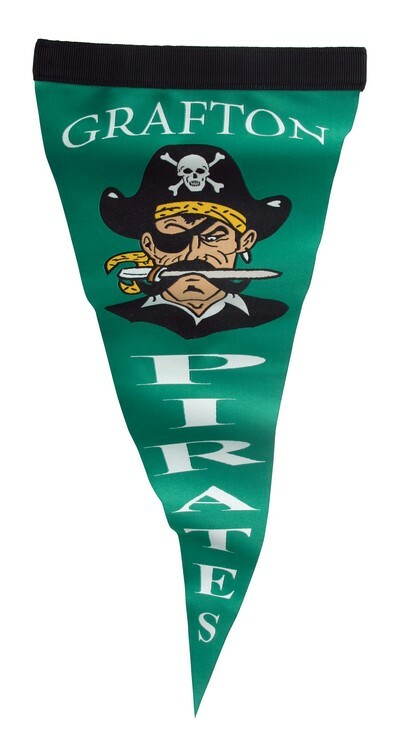 Make your pennant even more special with a personal message or company logo added on. Soft felt is standard. Firm felt on special orders. 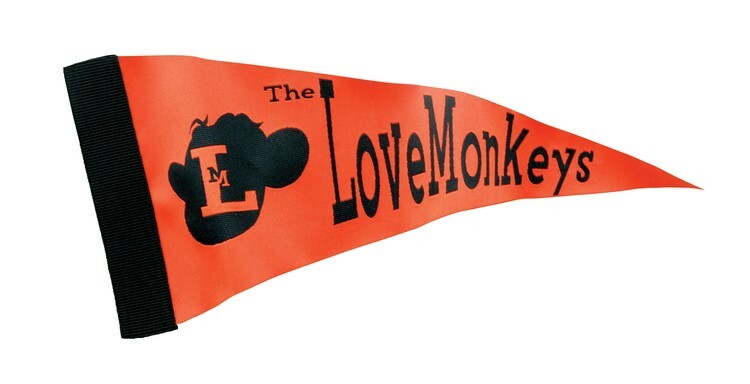 UV coated plastic pennants are printed in four color process and are perfect for supporting your canidate. 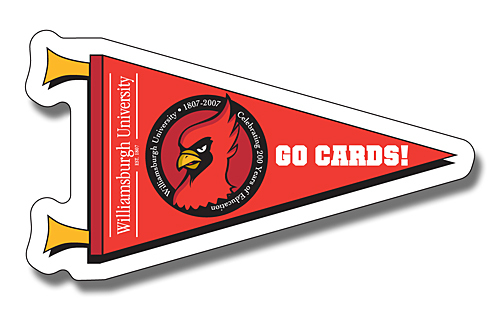 Pennants are shipped with dowel sticks that are easy to insert. Sticks are .25" thick and 18" long. 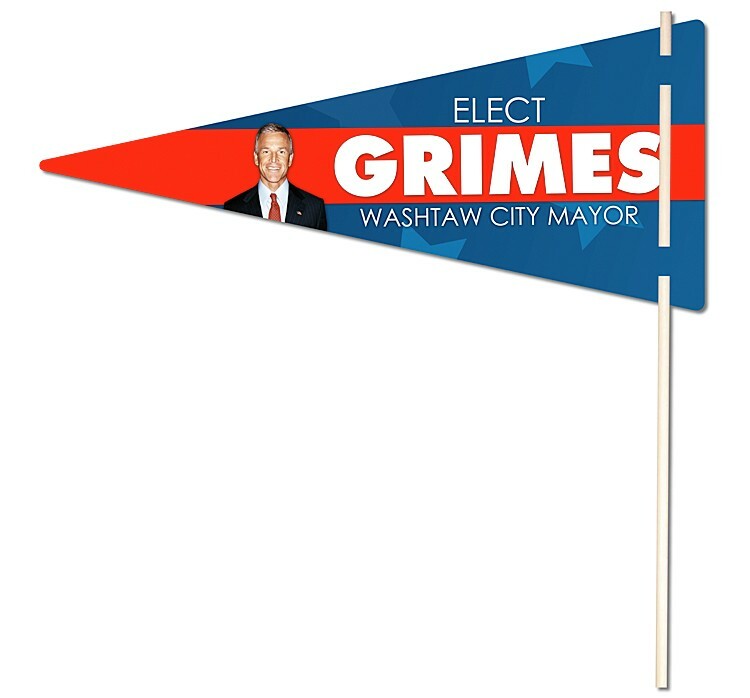 Pennant - 5" x 12"
Obtain a step up on your competition marketing your brand on an item like the Large Wall Pennant. This eco-friendly promo item measures 12 inches x 30 inches and is made out of PET recycled felt material. The product also features cotton binding and tie strings. For your convenience the item comes in a wide variety of colors for you to choose from. Make your pennant even more special with a personal message or your business or company logo added on. Soft felt is standard. Firm felt on special orders.